As part of the landscape of urban, regional and rural Queensland, roadside memorials remind travelers that death by road accident is both a condition and risk of enhanced human mobility. In contemporary Queensland travel by motor vehicle and bicycle is done with a speed and frequency unmatched by previous generations. As a geographically large State, memorials populate the vast stretch of coastal roads and highways, and inland roads, including the Birdsville track. Over the last century, the landscape of Queensland, both map and topography, has been constructed and transformed by a network of key thoroughfares (national and state highways), major and minor roads. Directing human movement, these roads shape our interaction with and negotiation of the built and natural environment. Cutting pathways through the landscape’s roads also construct inner maps, that is, the tracks and pathways of memory. Daily life, biography and story-telling are shaped by the roads and maps that we come to travel. Roadside memorials have a cross-cultural history dating back centuries and are found across the globe. They speak to the mundane reality of travel in modern life and an increasing democratisation of memorial culture. By erecting memorials ordinary citizens make a claim on public space, transforming an area of land into a personalised site of memory, loss and mourning. The fact that these memorials are located in transitional spaces, that is, spaces not occupied but rather moved through, enables their toleration and proliferation by government authorities and the wider society. 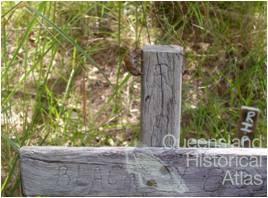 However, Queensland councils are attempting to monitor and potentially regulate roadside memorials by requesting mourners to fill out an application form detailing the site of death and description of the intended memorial (www.mainroads.qld.gov.au). On major tourist roads memorials compete for visual/mental attention with other traffic signs (many roadside memorials are erected on traffic signs) and billboard advertisements. So the context of roadside memorials is an important aspect in understanding how they might function in the landscape or be experienced by travelers. 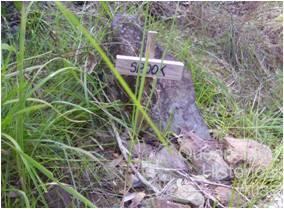 Some roadside memorials are visible because of their size, where and how they are constructed. Mode of address also differentiates memorials as some aim to draw the attention of travelers while others seem less intent on being seen. This second type tends to communicate grief and loss in more private ways such that the public face can seem an incidental feature of the fact that this death occurred in a public setting. On open roads and flat landscapes memorials can stand out while in dense bushland or overgrown roadsides they often fade into the natural environment. Along Tamborine Mountain Road there are a cluster of six memorials located up on an embankment on Tamborine Mountain, northeast of Eagle Heights. From the roadside only three of the six are visible. These memorials tell a typical demographic story of road fatality statistics in Queensland and wider Australia as five of the six are dedicated to young men and one to a young woman. Male fatalities represent two-thirds of all road-related deaths in Queensland. Memorials generally reflect and signify this statistical profile. Typically, roadside memorials mark the name of the deceased, date of birth and death, and use other markers of identity or personality. Some memorials identify the deceased only by nickname and utilise naturally occurring objects of the landscape — stones — to mark the territory in the style of a gravesite. In the village of Coomera at the base of Tamborine Mountain a war memorial sits in the middle of a road, dividing and marking a juncture – not uncommon in terms of how war memorials are placed on roads or roundabouts in Australia. Historically in Queensland and Australia memorial culture has largely centred on nationalism and colonialism with war memorials the focus of the former, and settler and explorer monuments the focus of the latter. In both cases, ideals of heroism, sacrifice, determination and bravery in the face of death (including the danger of the landscape itself) underpin the moral message. Memorialising sites of Indigenous massacres is an area of memorial culture squarely within politics and debate about national history, active remembering and forgetting. Roadside memorials are not of the same order nor do they generate a collective culture of public mourning ritual, despite the fact that road deaths statistically far exceed loss of Australian lives by war. However, like other memorials, they speak of the human condition of mortality, the tragedy and sadness of lives unexpectedly cut short.